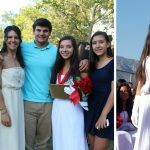 In a couple short weeks, you, the high school students of Flintridge Sacred Heart Academy and around the country, will be out of school enjoying spring break 2017. And what do you need when you are on a long boring plane ride, when you’ve caught up on your television queue, and when you need a break from bonding with your kin? You need a book. And not just any book. You need a fun, totally engrossing, totally non-school related Spring Break Read. 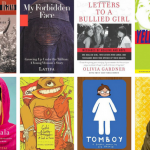 As your new assistant librarian, I’ve been busy rounding up a list of the eight best titles that you can check out from the FSHA library right now and keep until April 18. 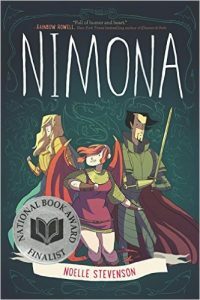 Imagine the comically evil Dr. Horrible meeting the hyper zany Allie from “Hyperbolie” and a Half and you’ve got “Nimona.” This graphic novel is so hilarious and girl-powered that I devoured it in an hour and a half. 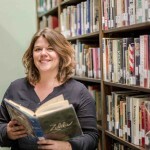 Bonus: The author is an LA native with a FSHA connection, and she wrote the super-popular graphic novel “Lumberjanes” (also available at the library). 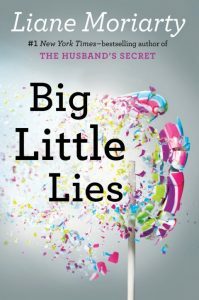 Jane has just moved into a small beach town in Australia and quickly becomes caught up in the town’s hilarious and gossipy over-the-top competitive parenting culture. But the town is hiding some dark secrets. Read it before you watch the brand new television series! The teen in this wildly original science fiction book is doomed to wake up in the body of a different teen in Maryland every day. 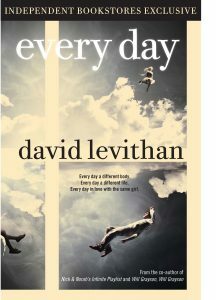 Find out what happens when the main character faces the challenge of falling in love while constantly changing heights, genders, races, and families. If you’re tired of yet another teen book about ultra-rich high schoolers struggling with stunning good looks, snarky frenemies, and irritating popularity, then Eleanor & Park is the cure you’ve been looking for. 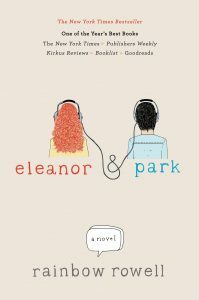 In 1986, Eleanor and Park navigate their school bus love with mix tapes and comic books, while dealing with issues of race, poverty, and what it means to be an outsider. 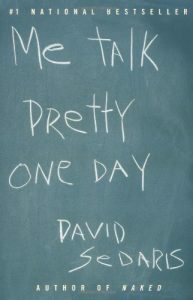 Comedian and public radio personality, David Sedaris turns his experiences growing up in a super-quirky family, traveling abroad, and living in New York City into comedy gold. 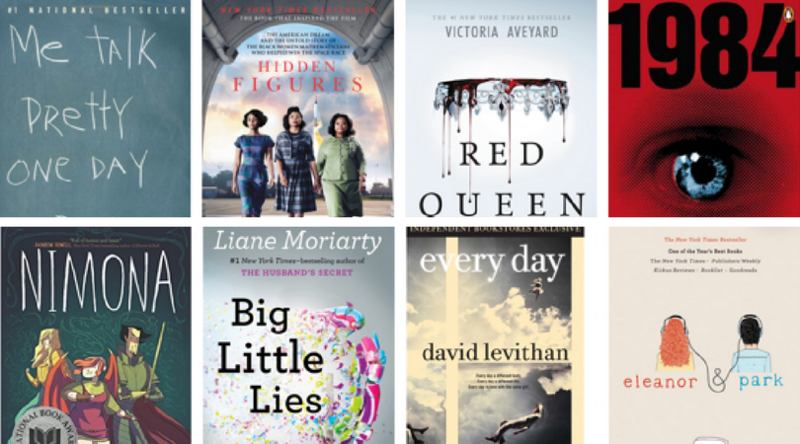 These outrageous, cynical, and self-deprecating stories are light-hearted and make for perfect vacation reading. 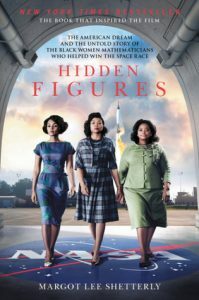 Dig deeper into the history of the incredible African American women who worked as some of NASA’s first human computers by reading the book that inspired the popular movie. 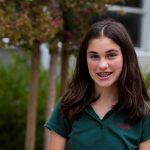 Get real facts and historically accurate details about these mathematicians and the times they lived in. Mare Barrow lives in a dystopian world with a strict caste system – those with silver blood have supernatural powers and make the rules, while ordinarily red-blooded humans are doomed to lives of servitude and poverty. 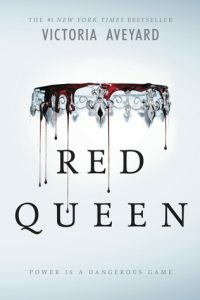 Things become complicated when Barrow discovers red-blooded humans may not be as powerless as everyone thinks and joins the Scarlet Guard, who may or may not be the freedom fighters she thinks they are. 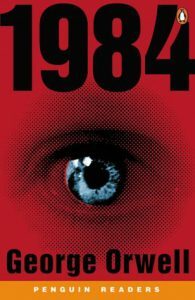 If you are absolutely determined to read something that will impress your English teacher, then why not check out 1984? This classic book about the country of Oceania where the Ministry of Truth churns out reams of propaganda, Big Brother encourages citizens to spy on one another, and the Thought Police monitors and brutally crushes any signs of dissent suddenly shot up to #1 on Amazon’s bestseller list this past January.